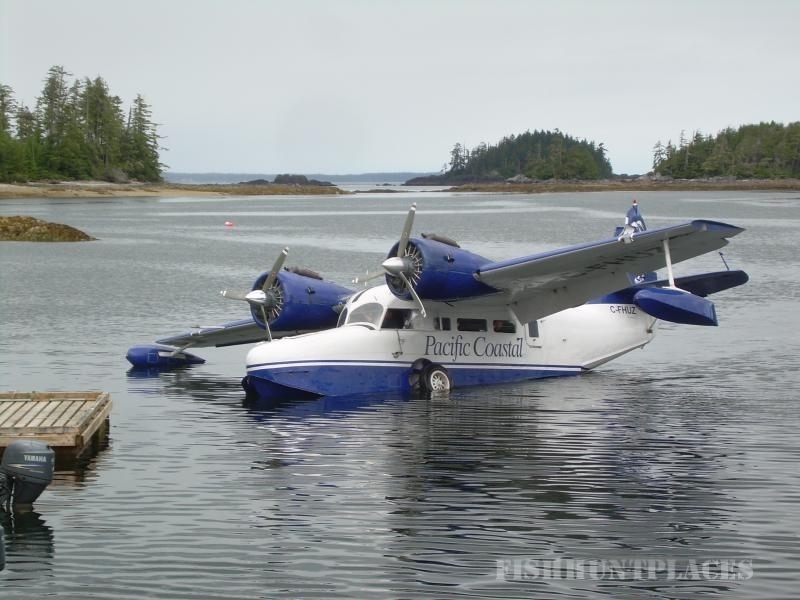 This luxurious fly-in BC salmon fishing lodge is ideally located in Caamano Sound on the northwest coast of British Columbia, Canada. Known for calm waters and big fish, Caamano Sound is east of Haida Gwaii (formerly Queen Charlotte Islands) and south of Prince Rupert. The fishing lodge is situated right at the crossroads of the major BC and Alaska salmon runs of trophy Chinook salmon (up to whopping 74 pounds) and Coho salmon (up to an amazing 25 pounds). 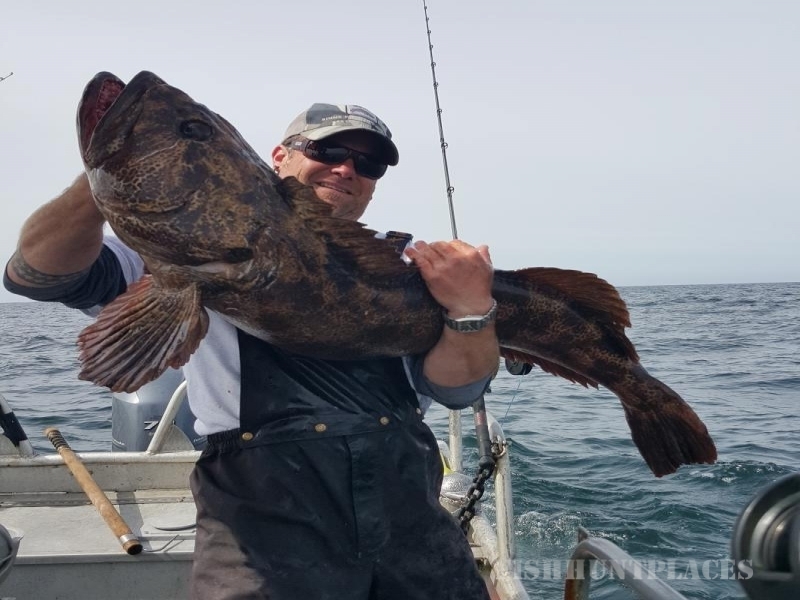 The deep, dark waters of the sound and nearby prime fishing spots are also home to huge halibut, Red Snapper and tasty Ling Cod. 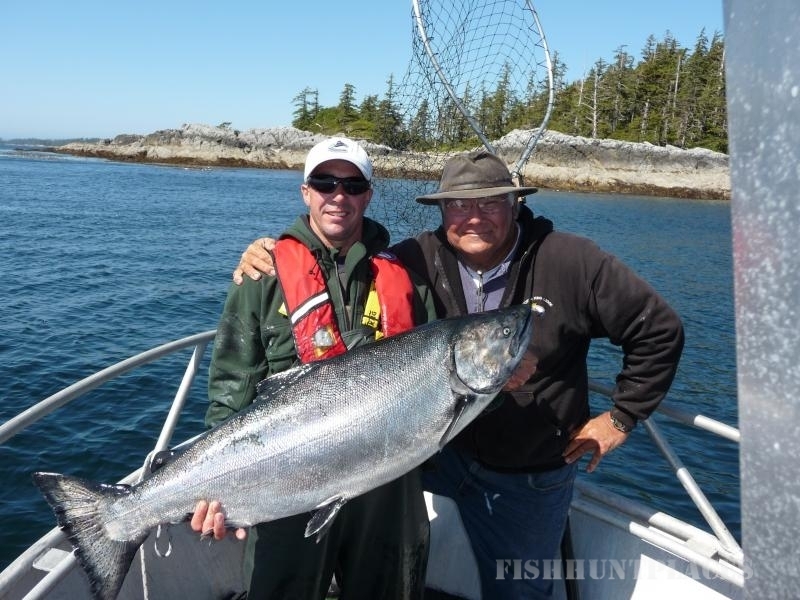 Every North King Lodge fishing charter can include a mix of bottom fishing and salmon fishing. 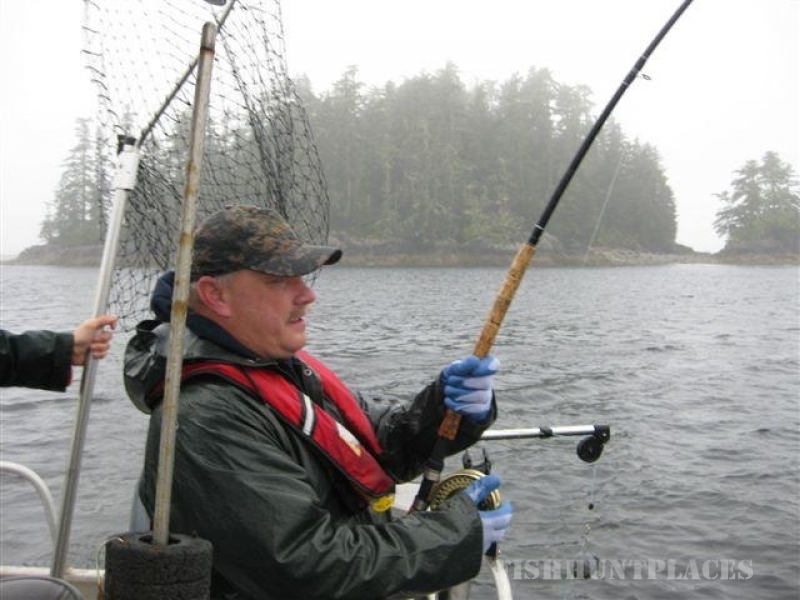 Our BC salmon fishing charters include unlimited use of our fishing boats and fishing tackle. 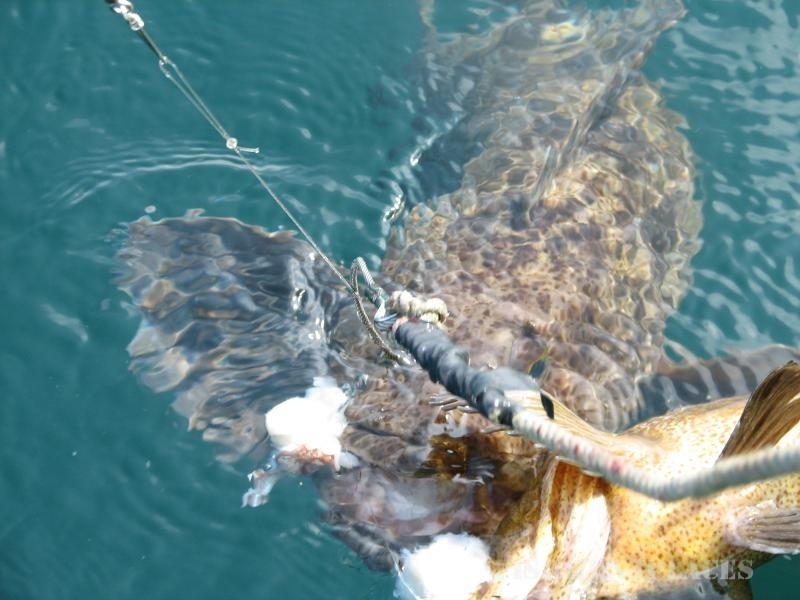 Experienced fishing guides are available for hire; because of the easy accessibility of the fishing grounds, most guests do not request a fishing guide. This allows you to assemble your own fishing party and fish when you want, where you want. Our lodge facility was designed to offer guests the greatest level of comfort possible in one of the most isolated areas of British Columbia. We also keep in mind that we are catering to fishermen. Gourmet meals are prepared by our chef, as well as unlimited snacks. 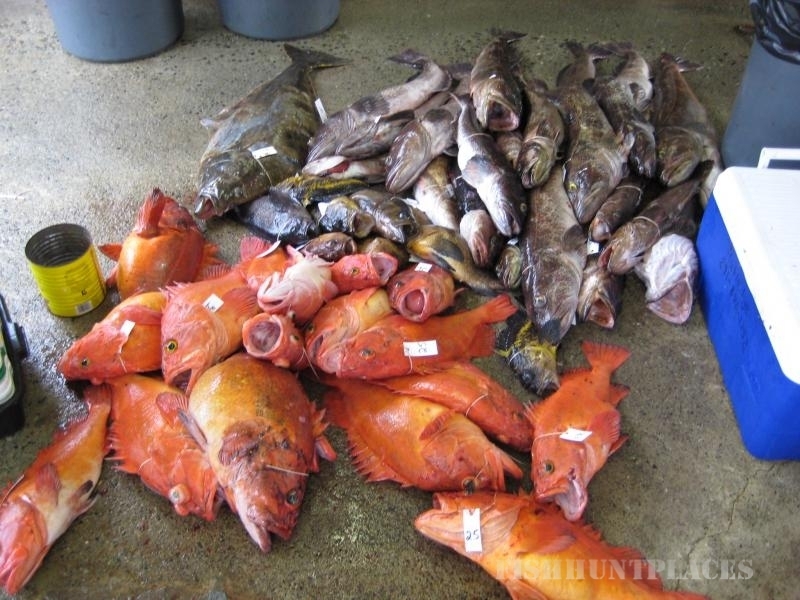 We feature local seafood but also cater to individual tastes. Meal times are flexible as we don't want you to miss the hot bite times! We encourage our guests to unplug for these few days, and truly enjoy the time away from it all. For those times when you really do need to stay connected, wifi is available. The business center, complete with phone service and internet will help keep you in touch with the real world.